Instagram is one of the most popular apps in the world today. There are a wealth of ways to utilize Instagram to your business’s advantage: hashtags, paying influential users to promote your business, sponsored ads and promotions from your business page, etc. 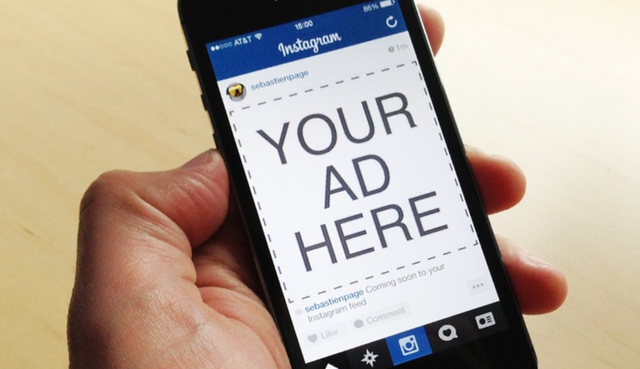 One of the more direct ways to advertise on Instagram is to use the app’s promotion feature. You can visit Instagram’s Help Center and visit the link for Instagram for Business. There you can see the many ways Instagram can help grow your business’s presence on the internet. With the promotion feature, you can choose an objective for your sponsored post: whether you want to increase foot traffic to a brick & mortar location, increase brand awareness, or increase traffic to a business website for more information or online purchases. Hashtags are an indirect way to generate clicks to your Instagram page. Hashtags are keyword links on a post, whether your own or a consumer’s, using the format #insertkeywordhere. These links bring the user to all postings with the same hashtag. Hashtags can even be followed like Instagram accounts, which will show popular posts with that hashtag on user’s Instagram feeds. Monitoring these hashtags may even bring you to a post about your business which you can then repost and give credit to the consumer for. Doing this will allow you to reach your own followers and theirs. Personal interactions with customers shows you care about their business. Advertising on Instagram has created a new career called the Instagram Influencer. Instagram influencer’s are people are pages with a lot of followers. What do these influencer’s do? They post sponsored ads that they get paid for on their page for their followers to see. The user will take a photo with a product or at a business location with a link to the business’s Instagram page and hashtags relevant to the post. Using an influencer to advertise your business means they can reach their followers and more. With Instagram, your business is able to provide frequent updates. You can advertise a sale at a retail location, a special at your restaurant, or post pictures of a recent floor installation.